The Sri Lanka Freedom Party (SLFP) offered on Thursday to form a coalition government with this week’s winner of parliamentary elections, in a move that will pave the way for President Maithripala Sirisena to restart his stalled reform agenda. 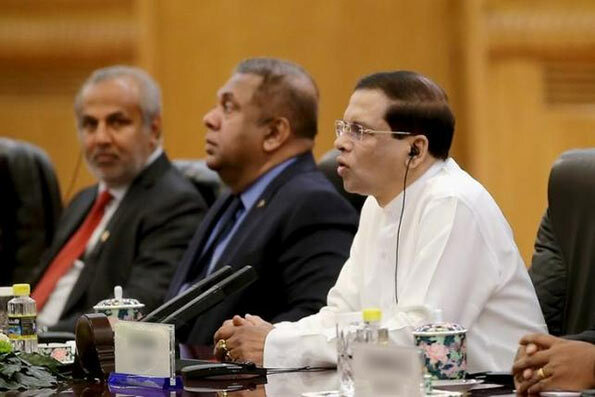 Sirisena had called the elections early after loyalists of former President Mahinda Rajapaksa, also from the SLFP, had blocked some of his reforms to make government more accountable and simplify Sri Lanka’s complex election rules. Rajapaksa, still revered by many for ending a 26-year Tamil insurgency in 2009, headed the SLFP-led opposition alliance in Monday’s election. But days before the elections, Sirisena purged Rajapaksa’s allies from the SLFP, consolidating his power in the party. Prime Minister Ranil Wickremesinghe’s United National Party (UNP) won the most seats in parliamentary elections, but fell seven seats short of an outright majority. SLFP’s acting secretary, Duminda Dissanayake, said the party had decided to form a government with the UNP for at least two years. It has appointed a five-member committee to work on forming a national unity government with UNP, he said. What nonsense is this,Sirisena offers to join, you have to join the government after betraying your party. Shame on you. The TNA which gained the 3rd highest number of votes in the elections is being sidelined and ignored in the formation of the national government. Does this mean the new national government is destined to be a non-inclusive Sinhala Buddhist power bloc? In Sept this year, the country will be facing its biggest challenge in Geneva with the UNHRC poised to release the war crime report. Will the national government throw the Rajapaksa brothers to the wolves or will they be sanitised and protected as national heroes? JRJ’s rule was dogged by the Tamil insurgent uprising; hope similar fate does not befall the yahapalanaya. As long as CBK is involved in policy development of the new government, the Tamils will be secure. I agree with Maheswaran says, in that a national government should be all inclusive . If Sirisena and his cronies want to extend the olive branch then the ought to be recognised! on their own terms. But Sirisena lacks the courage and the will to do so. Sirisena has no agenda and he is dictated by his new found ally in Ranil and his polices are not worth paper they are written on.